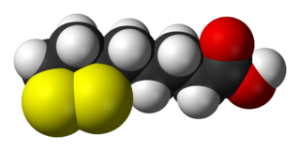 e: 18pt;">Early research suggests alpha-lipoic acid may protect against nonalcoholic fatty liver. Antioxidant activity. ALA protects the liver from oxidative stress by neutralizing free radicals and regenerating the body’s other antioxidants. Warding off steatosis. ALA protects against fat accumulation in the liver (steatosis), which is linked to fatty liver disease. Alpha-lipoic acid (ALA) is a vitamin-like fatty acid present in the human body. ALA is also found spinach, broccoli, potatoes, yeast, tomatoes, brussels sprouts, kidney meat, and other food sources. These two critical roles have made ALA a popular supplement for a variety of health concerns, including diabetes, weight loss, brain function, chronic fatigue, cardiovascular health, and liver disorders. In terms of liver health, ALA is most commonly used for nonalcoholic fatty liver disease (NAFLD), hepatitis, and alcohol-related liver conditions. Did you know? Alpha lipoic acid has two main forms – R-alpha-lipoic acid (R-ALA) and S-ALA. R-ALA is the naturally occurring form, whereas S-ALA is made synthetically at a ratio of 1:1 to the R-form. R-ALA is believed to be more potent than S-ALA,1 but most ALA supplements contain a 50%/50% mixture of R-ALA and S-ALA. Unless a supplement states that it contains r-alpha-lipoic acid, it should be assumed that both forms are present. 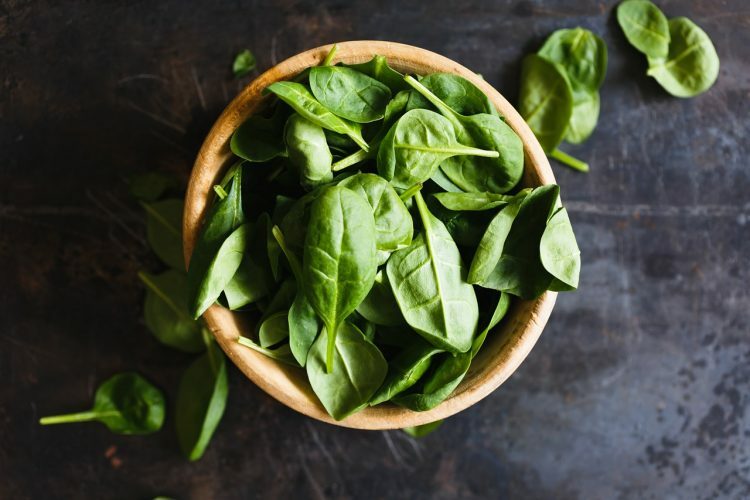 Oxidative stress is known to play an important role in liver disorders.2 As an antioxidant, alpha-lipoic acid helps reduce oxidative stress by neutralizing free radicals. In addition, when ALA is changed into a different molecule called dihydrolipoic acid (DHLA), it is capable of regenerating the body’s other antioxidants, such as glutathione, vitamin C, and Vitamin E. 3 Combined with its ability to dissolve in both water and fat, this makes ALA an incredibly potent, liver-protecting antioxidant. ple use ALA to protect against or slow the progression of common liver disorders, such as fatty liver, hepatitis, and cirrhosis. 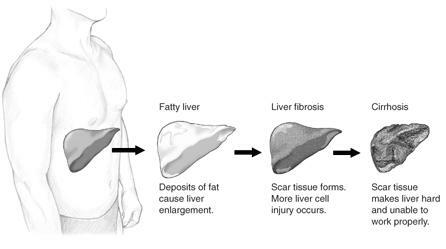 There is some early evidence that ALA might ward off nonalcoholic fatty liver disease (NAFLD) – the most common liver disorder worldwide – but there is too little research to say anything conclusive. ALA’s effects may also be helpful in cirrhosis and other liver disorders, but not enough studies have been done to support its use for these conditions. Did you know? ALA is sometimes used as a nootropic that protects the brain from oxidative stress. Animal studies suggest that ALA protects against nonalcoholic fatty liver and liver damage. This study examined whether alpha lipoic acid can protect against non-alcoholic fatty liver disease (NAFLD). Rats were divided into two groups: untreated, or given 200 mg/kg ALA daily for 16 weeks. ALA supplementation improved measures of multiple factors involved in the development of NAFLD, including oxidative stress, inflammation, immune system activation, and liver steatosis (fat accumulation). This study examine the use of ALA in protecting against liver fibrosis and cirrhosis. The supplementation of ALA to rats with thioacetamide (TAA)-induced liver fibrosis prevented the development of both fibrosis and cirrhosis. This study tested the ability of ALA to protect against hepatotoxicity (chemical liver damage). Rats treated with ALA (25-100 mg/kg) were protected against acetaminophen (APAP)-induced hepatotoxicity, which can typically cause liver failure. This study examined the protective effect of ALA on nonalcoholic steatosis – a central feature of NAFLD. Thirty rats were fed a standard, high-fat, or high-fat plus ALA diet. ALA supplementation prevented liver damage and accumulation of triglycerides caused by the high-fat diet. dies of ALA report mixed findings. This randomized, double-blind study examined the effects of thioctic acid (another name for alpha-lipoic acid) on alcohol-related liver disease. A total of 40 patients were given placebo or ALA (300 mg) daily for 6 months. ALA did not have any significant impact on the progression of the condition. This double-blind, randomized, placebo-controlled study tested the effects of the combination of ALA and ursodeoxycholic acid (UDCA, one of the bile acids) on NAFLD. A total of 120 people were given placebo or ALA (400 mg) with UDCA (300 mg) daily for 12 months. Compared to the placebo group, the ALAUDCA group experienced improvement of several measures of liver health, including levels of gamma-glutamyl transpeptidase (GGT), alanine aminotransferase (ALT), aspartate aminotransferase (AST), albumin and platelets (PLT). In addition, they also had a reduction in NAFLD fibrosis score. ha-lipoic acid is mostly commonly sold in capsules as a 50/50 mixture of R-ALA and S-ALA.
ALA can also be sold as 100% R-alpha-lipoic acid, which is considered to be more potent, but has a higher price. rong>Alpha lipoic acid 300-400 mg for liver health. ALA holds early promise for alleviating NAFLD. Early research indicates that ALA may protect the liver from nonalcoholic fatty liver, but there isn’t enough evidence to recommend its use. Most studies use 300-400 mg dosages. Studies of ALA tend to use 300-400 mg dosages, which is fairly close to the dosages recommended by ALA supplements.